I love to teach - especially beginners! That 'A-ha' moment when students realize that they can create fabulous jewellery for themselves or for friends and family is precious. My primary location for teaching is at BeadFX, a bricks-and-mortar/on-line beading supply retail store in Toronto, Ontario, Canada. BeadFX has a large classroom, a full-service metal studio and 8-torch lampwork studio. Their location is 19 Waterman Avenue, unit 2, Toronto. 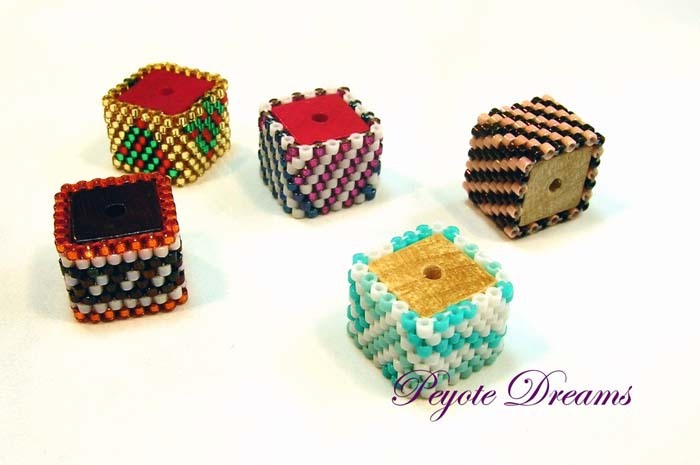 Below are upcoming classes that I'm leading at BeadFX. 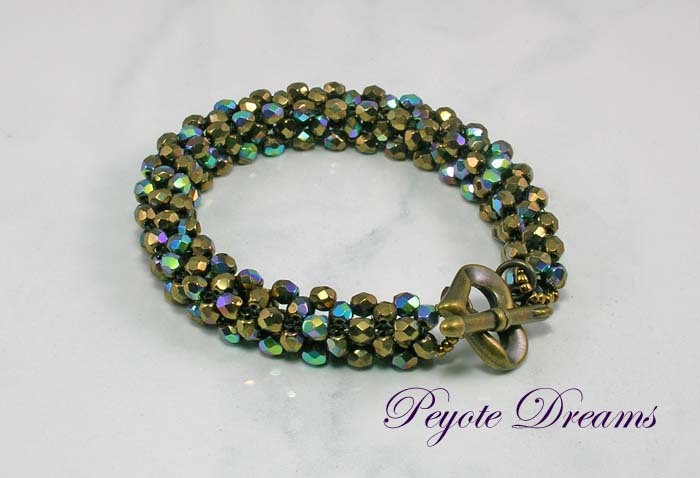 You can register in either of two ways: a) click on the link providedto be linked to BeadFX's on-line registrationsystem, or b) call BeadFX at (416) 751-1911. Payment is required to complete registration. For complete information about each class, click on the link to be transferred to the BeadFX class calendar. 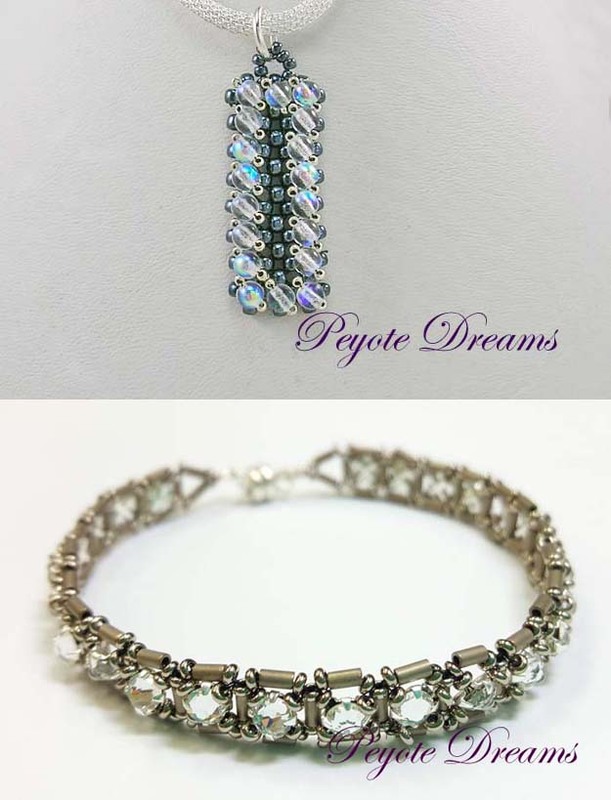 Spiral Rope is one of the most versatile stitches; change the beads and you change look of your piece completely! Stretchy bracelets are all the rage and they are a perfect jewellery choice for last-minute accessories. 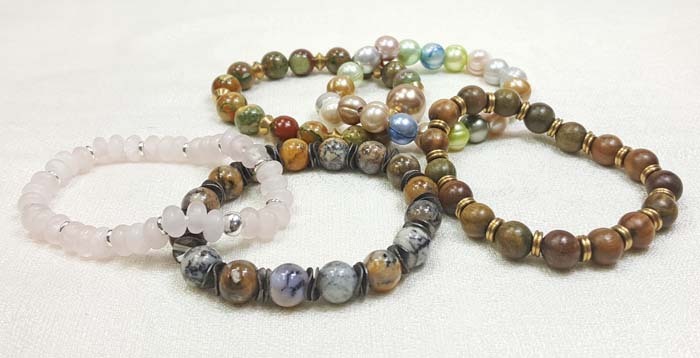 While they may seem easy, there are some tips and tricks to creating sturdy bracelets. 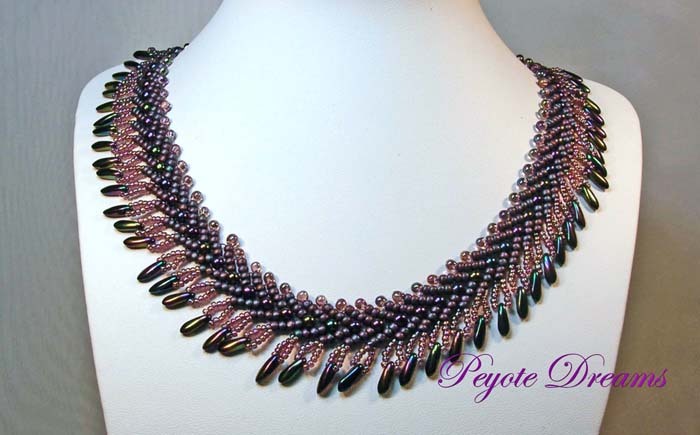 Diagonal Peyote is a variation of flat, even-count peyote that allows for terrific designs ranging from leaf-like earrings (aka Russian Leaves) to zig-zag strips. 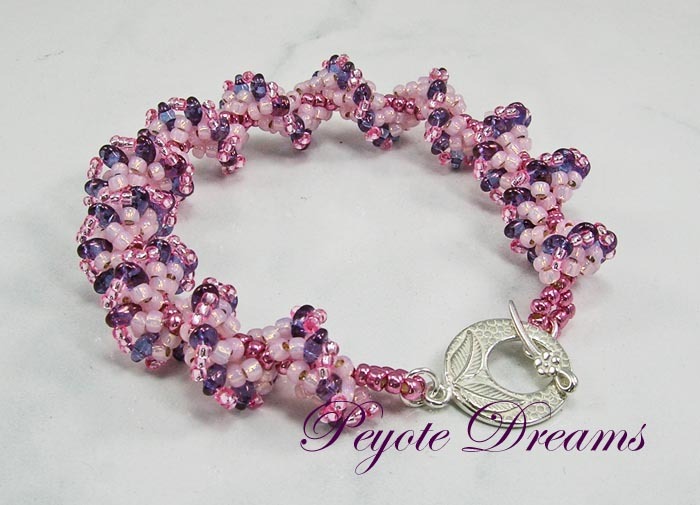 Learning to use 2-hole beads opens up your beading horizons! 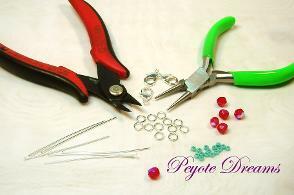 In this class you will learn how to do peyote using 2-Hole beads, such as Diamond Duos, Silky beads or SuperDuos. A bead loom is not just for beads! 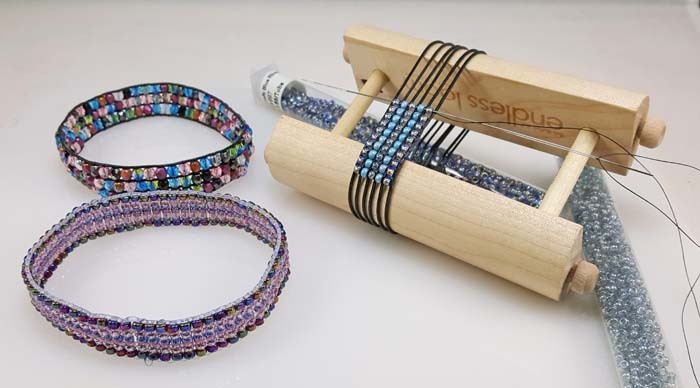 The Jewel Loom is an excellent way to create small tapestry weavings that can be used for bracelets, bookmarks and other small projects. Do you want to create jewellery for yourself but have no idea where to start? Join Pamela Kearns for this 'newbie' course and discover just how easy creating jewellery can be. Learn how to do St. Petersburg Chain, a lesser-known but highly versatile bead stitch with instructor Pamela Kearns. With this in-hand beading stitch, you add variations through the edging. Learn how to do right-angle weave (also known as RAW). This is one of those basic bead stitches that is the foundation of many a great design. 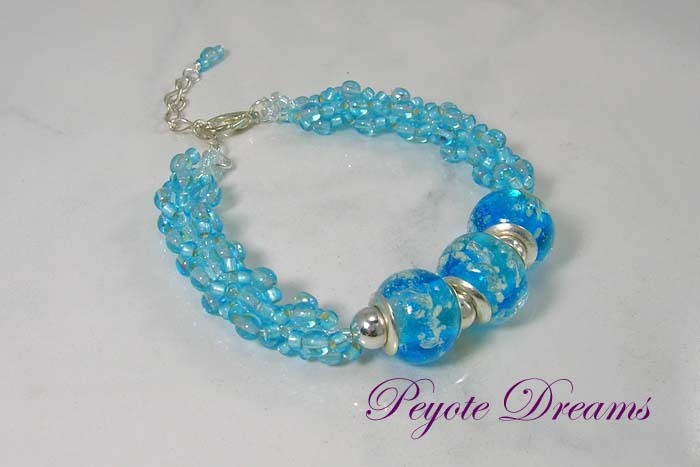 The variations of Spiral Rope is as infinite as the beads you can use! We'll look at two variations of this under appreciated beading stitch: flat spiral and spiral rope using two-hole beads. 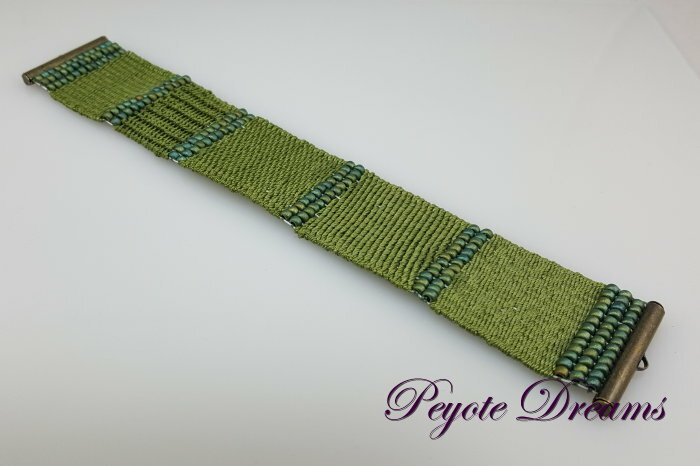 Learn how to do cubic right-angle weave (CRAW) with instructor Pamela Kearns. This stitch create a solid piece of beading and looks scarier than it really is. 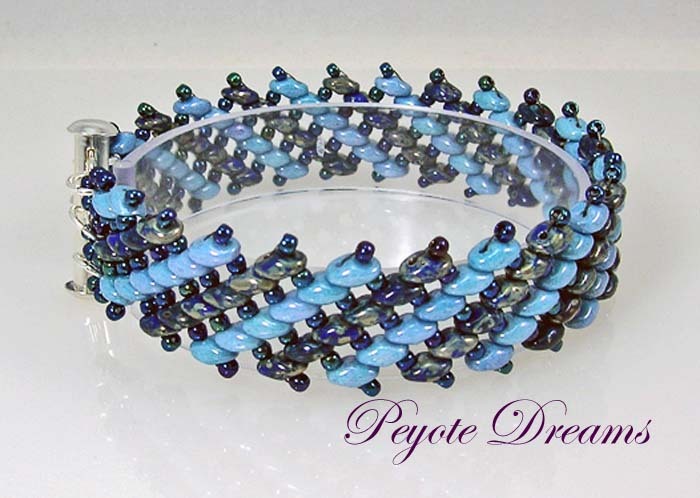 Expand your stretchy bracelet tool box by learning how to create them on the Endless Loom. Pamela Kearns will teach you how to judge your size and allow for ease of wear. 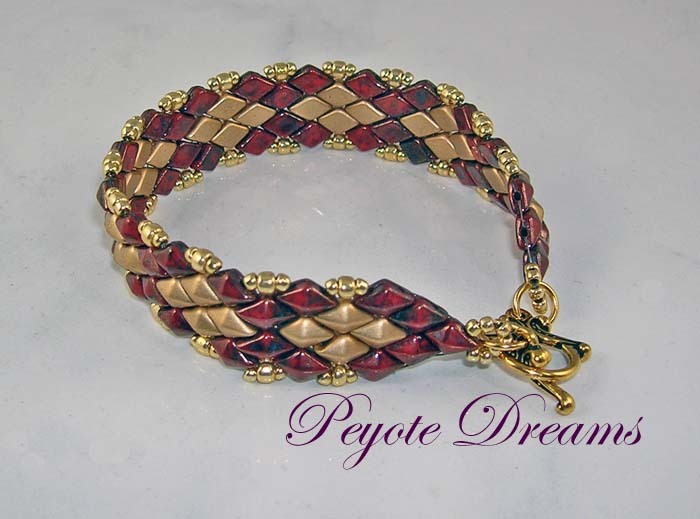 Peyote stitch creates an amazing fabric of beads using only beads, a needle and thread.